If you are a customer or developer using FileMaker Pro, you probably know the latest version, FileMaker 13 was released in December 2013. I have not written about this release yet, because I wanted to reserve my comments until I had time to work with it. Now I have. So, what is the state of FileMaker 13? First, let’s talk about what FileMaker is at the core. It is a client-server database platform for making custom business applications. 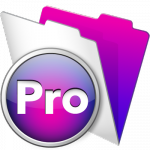 For years, FileMaker has had a desktop application (FMPro) and a server application (FMS). Then recently, FMI added an iOS application (FMGo). So, now the “client” part of client-server includes the iPhone and iPad. Of course, FileMaker also has a web publishing component in the server application. Instant Web Publishing (retired in FileMaker 13), was designed to help a FileMaker developer with minimal web experience create web access to a FileMaker solution. Custom Web Publishing was intended for the traditional web developer who knows HTML, CSS, PHP, etc. to create custom web apps for a FileMaker backend. In FileMaker 13, Instant Web Publishing was replaced with WebDirect. WebDirect is intended to bring the desktop experience of FileMaker Pro to the browser. WebDirect is a new technology, a 1.0 release. In some ways, it is similar to when FileMaker Go released. It is a new type of “client” except it does not require installing any software because it runs in the browser. As with FMGo, will require some time to mature and for developers to figure out best practices. So, where does this leave us? I go back to what I said earlier. FileMaker is a client-server database platform for making custom business applications. Currently it has two rock-solid clients, desktop (FMPro) and iOS (FMGo). You could also consider Custom Web Publishing a third client except that it requires development skills outside the normal FileMaker toolbox. FileMaker is not a true SaaS application. It requires a client on the local device. You can put the server application on a cloud server (hosting provider, AWS, Rackspace, etc.). Then, if you have a well-designed solution, you can access the application “in the cloud” using the client on the local device. Is this a web-based app? No. But not every business needs one. What is my point? Let’s be honest, and not ashamed, of what FileMaker really is and is not. Be honest with yourself and your customers about whether FileMaker is the right fit. If it is, use it. If it is not, have other options to offer the customer. Do not try to fit a square peg into a round hole. It is a disservice to the FileMaker platform and the customer. Back to FileMaker 13, the latest advancements in the platform — including the layout theme/style engine, the new layout objects (popover and slide control), the improvement in iOS functionality, and the server enhancements like Perform Script on Server — are significant steps forward. However, these do not change what FileMaker currently is: a client-server database for custom applications on desktops and iOS. That is my take on the state of FileMaker 13. What do you think? You can leave a comment using the form below. Can you clarify just a bit? Sure, perhaps technically it’s not a puritan form of saas, but won’t it be viewed as such to the user? There’s nothing to install, so it seems the effect will be the same. To me, the value of not having to install anything in the appropriate circumstances is extremely high. From past experience, the whole server install/client install/software update process was, if not a deal killer, certainly a frowny-face on the whole experience. My perspective is based on the mom & pop side of things far more than the corporate one. But even in the corporate environment, how many times have we heard, “which version are they running?” or “The server crash because IT [did such and so] without telling us first…” ? Just like we install Pro for users and maybe Advanced for power users, it seems we have the option now to add a lower tier – the web – for those who only visit a couple of layouts to edit a few things and go on their way. For more needy users, they can still install Pro, and our power users can still have Advanced if they wish. With proper planning, it seems you could cut your FM maintenance budget at least by a quarter, if not half, by judiciously using the web. And I don’t think it’s any secret that FMI really wants me to THINK that I have a FileMaker-branded saas now, without actually saying those words. Brad – In my opinion, using WebDirect as the main client for a FileMaker solution is not feasible yet. It is a 1.0 release. It has feature limitations, performance concerns, and known bugs. Successful solutions will continue to use FileMaker Pro and FileMaker Go as the main client. Makes sense. Thanks for the heads-up! I totally agreed after the company I worked for tries to use WebDirect. More improvements needed before I dare sing about it. Kenneth – Thanks for your comment. I’m a huge supporter of FileMaker, but I think it was downright criminal of them not to make it crystal clear that ONCE YOU GO TO FMS13 YOU HAVE TO PAY FOR EACH MOBILE CONNECTION. Sure, there are some breaks as it uses concurrent connections and you can swap out users, but with FMS12 the mobile connections were free. The price is outrageous: 5 mobile connections now costs more to maintain than my entire FM Server and I feel like FM swept this under the rug by not making it clear to their developers in Devcon 2012 and Devcon 2013. I feel like this should have been a HUGE point of interest that FM could and should have communicated to their faithful supporters. As a supporter and certified FM Developer that does my best to stay informed, I feel downright betrayed. I’m surprised you or any other blogs still aren’t bringing attention to this. Personally I want to warn other developers about this hidden cost of upgrading. FileMaker did change their licensing model with FileMaker 13. FileMaker Pro (desktop) continues to be sold by the individual user/computer. FileMaker Go and WebDirect are sold as concurrent connections. I think it was inevitable that FMI was going to start charging for the value customers receive from FileMaker Go. You have to evaluate the return on investment (ROI). In other words, what is the financial gain from using FileMaker Go in light of the license cost? Thanks, to be clear I fully expect poor database design to be at fault – Not FileMaker. (designed & developed before my time) That being said the same lockups didn’t occur in 12.. so I can’t help but wonder if FM13 is different in the way it evaluates calcs? My intention is to ask if you might know the answer, not to blame the product. Re: New cost of mobile connections. I simply want to warn other developers of the cost when they upgrade to 13, because I wasn’t warned and product reviews of Fm13 still aren’t mentioning it. It’s a hidden cost and it is only fair to mention it in a product review. Jessica – If you are seeing differences between FMS12 and FMS13 with the same database, I would reach out to FMI tech support. One, they might have some suggestions that can help. Two, if they are not aware of the issue, then your information could help them address it. I do not think FMI has intentionally hide the changes for FMGo licensing. In fact, they specifically addressed it during webinars to roll out FileMaker 13. That said, I did not mention it in his article because pricing was not the focus. Yep, I’ve seen the same lockup issue. (not traceable to any particular calc or action), and was definitely not the case in 12. (Not using WebDirect in this system, though we are using ESS . . which I have a hunch may be related based on some of what I’ve seen.) I guess tech support may be the way to go. Thanks for sharing the Geist video on speeding up reports. I’ve had to do that on occasion, knowing that duplicating data was ‘against the rules’. I was reluctant, though, to share the workaround with other devs for precisely that reason, thinking there was a better way of addressing the problem that I just hadn’t discovered. In my case, I kept watch over fields getting out of sync using script triggers. I’ll have to watch Todd’s other video on transactions; that looks like a better way. Brian – You are welcome. De-normalizing data to increase performance is an acceptable practice. Of course, you have to understand the rules first to know when to break them. Thanks for stopping by. Still, I do not think it is something that FMI tried to hide. I attended several live and online events when FM13 was released. They made a considerable effort to educate the community on the licensing costs. It is unreasonable to expect FMGo to remain free indefinitely. It simply does not make good business sense. I would like to share our experience with WebDirect. 1) Our client needs a solution to inspect and repair their 50,000 equipments according to procedures that contains around 60 operations each. 2) Each week, their 100 mecanicians perform 5,000 inspections and repairs of those equipments and report their progress on a tablet each time an operation is completed. 3) The system MUST works with WebDirect, because the client is 100% cloud based and softwares cannot be intalled on their desktops and tablets (policy rule). 4) Our solution contains 18 tables, 54 models, 47 scripts. 2) The printing of the “Inpection Certification” report that must be placed in the repaired equipment. (Printing with WebDirect is not an easy task). 3) The distribution of the maintenance sites (all around Quebec province). 1) So far, the system works well. 2) We have invested 240 hours of our time for development and testing. 3) Even if WebDirect is not yet the “perfect” product we would like to have, it could be used with some caution to develop solid systems. For me, the fact that FMI would continue to, at some level, charge for their concurrent server connections was pretty clear. I’m not sure where I got the information (I’ll have to review the marketing material, but as it’s online it may have been edited since), but it was clear to me that in order to serve clients, a determination of user base cost would be needed. What is an improvement over previous FMI marketing models is that there is a solution where the client (and therefore users) can be installed for free. This comes in the form of Filemaker Go – and to Jessica’s comment, FileMaker Go used to cost to install. So at least now the model supports a centralized fee structure. One that is easily deployed in the enterprise on the fastest growing platform – in this case, mobile. And this is in lockstep with the fast-growing BYOD scenario that is the preferred corporation device stance these days. I am surprised, after all these years, that they are just now getting around to directly addressing things like styles and other time-saving and simplifying features to support the developers. The UI for getting maintenance and updates completed is still almost nonexistent. And when, oh when, is Apple going to recognize its own prodigal son as being worthy of inner iCloud participation?! Wow, so many discussions and great topics in this thread. I too have heard many (FileMaker developers included) bemoan FileMaker for not being a cloud based solution. Thank you, Kirk, for taking up the FileMaker standard, and asking it to be what it is, not what the populace has been talked into thinking they need. Not only do I think that is not really the case anymore (WebDirect certainly looks amazing for a 1.0 and I’ve designed a number of customer facing solutions for Instant Web Publishing), I think the whole “cloud” word has become confused a bit over time. In a sense, people were able to have their own distributed data source from server accessible from anywhere over the internet, with FileMaker since at least version 3 (yes you had to use a client) and IWP came along with version 4.1! That’s a lot of years of personal cloud computing, if you ask me. From my experience, accessing your data from a dedicated client application (like FileMaker Pro / Go) seems not only better from a robust UX standpoint, but also from a security and management standpoint. It also allows for synchronization (such as with GoZync), which allows for a much speedier user experience. These, as well as rapid application development time, are all benefits of FileMaker and play right to it’s strengths. Understanding who FileMaker’s core audience is, and getting the word out to that audience (especially those who would really benefit form a FileMaker solution rather than over paying for a giant cloud based SAAS that doesn’t really target them) is something we as developers should always be on the lookout for. Try not to see the model as a limitation, see it as it’s defining and unique strength. When customers inquire about the cloud hoopla, these are opportunities to educate, and expand the platform. Kent – Thanks for sharing your thoughts. I agree.